Our Fall 2018 Luncheon will be held on Thursday, Oct. 11, 2018. Joan Rosenhauer, executive director of Jesuit Refugee Service/USA, will be speaking. Joan Rosenhauer is the Executive Director of Jesuit Refugee Service/USA. In this role, Joan leads the organization to fulfill its mission — to accompany, serve, and advocate for refugees and displaced people. She is a member of JRS’s global Senior Leadership Team (comprised of nine other Regional Directors) who help guide the organization in over 50 countries. Rosenhauer is a former JRS/USA Board Member and has spent most of her career advocating for social justice and mobilizing the U.S. Catholic community to do the same. As the Executive Vice President of CRS, Joan led the organization’s outreach, marketing, and communications — helping those in the United States respond to critical needs around the world. 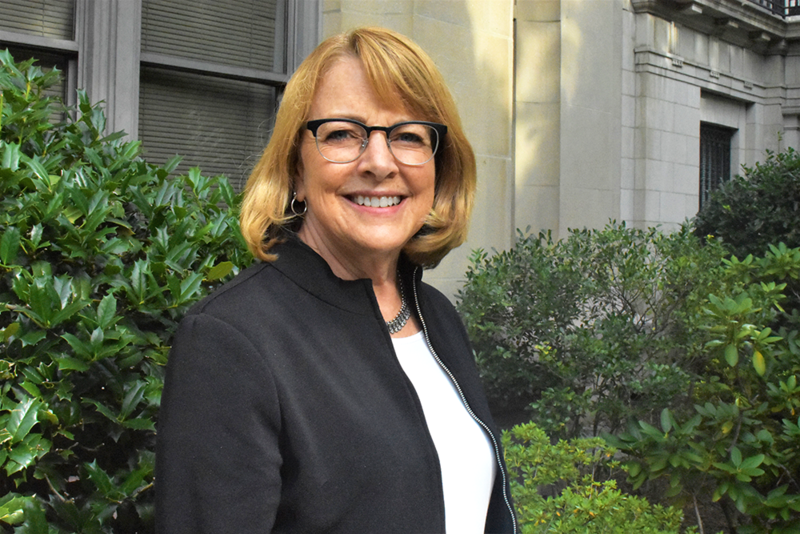 Prior to joining CRS, Joan spent 16 years with the U.S. Conference of Catholic Bishops, where she served as associate director of the Department of Justice, Peace, and Human Development. Prior to that role, she held a variety of positions, including special projects coordinator and outreach coordinator for the USCCB’s Department of Social Development and World Peace. Joan has a bachelor’s degree in social work from the University of Iowa and a master’s degree in public policy management from the University of Maryland. She has been awarded honorary doctorates from Dominican College and St. Ambrose University. Joan hails from Chicago. She is the 2009 recipient of the Harry A. Fagan Award from the Roundtable Association of Diocesan Social Action Directors. She attends St. Casimir Parish in Baltimore. Check back soon for info about our next luncheon. Video: January 2019 Luncheon with Rev. Stephen Katsouros, S.J. Winter 2019 Luncheon with Rev. Stephen Katsouros, S.J.